"Fits any 1970-72 Oldsmobile Cutlass or Olds 442 Hood!" 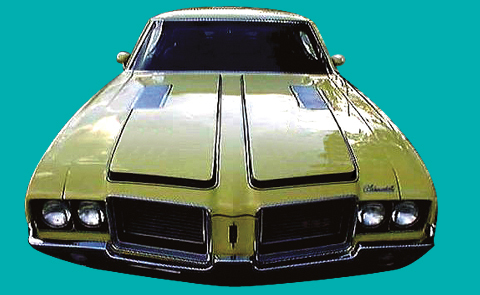 This Oldsmobile Cutlass and Olds 4-4-2 stripe kit is manufactured to meet or exceed OEM stripe/decal standards. Your surviving muscle car deserves the best restoration stripe kit on the market. Our Oldsmobile-style stripe and decal kits will restore your classic Cutlass or Olds 4-4-2 back to factory specifications. Even if your classic GM A-Body didn't originally have this muscle car striping, you can customize the look of your Oldsmobile Cutlass by adding the hood stripe now.